Keeping a home furnace in good working order can have several important benefits. 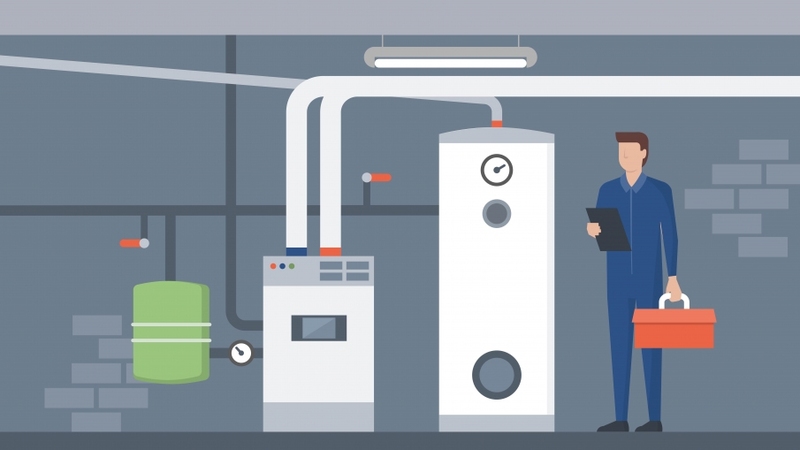 From prolonging the total operational lifespan of the furnace to ensuring more dependable and cost-effective performance, the furnace maintenance, services and repair solutions that only an experienced professional can provide can be an essential asset. Failing to properly maintain a furnace, heater or other HVAC and climate-control equipment could lead to more frequent and costly breakdowns or force home and property owners to make a costly and premature replacement should their appliances begin to wear out completely. The potential risks posed by faulty appliances and heating equipment that may be suffering from a mechanical issue are never something that should be taken lightly. From increased risk of a fire breaking out within the home to the dangers associated with carbon monoxide, keeping a heater or furnace in good working order can help to minimize or eliminate a number of very serious safety hazards. Periodic inspection and routine assessment of HVAC and climate-control systems can help to ensure that any problems that may have developed are able to be addressed before they lead to more serious issues or concerns. Seasonal home-heating costs can begin to add up, especially for homeowners who may be using equipment that is long past its prime. Even something as mundane as a clogged air-filter can impede the performance of an entire climate-control system. The relatively minor costs needed to arrange for periodic service and routine maintenance can often pay for themselves by decreasing utility costs. Furnaces and other appliances that may be in need of basic maintenance or simple repairs are rarely able to provide homeowners with the dependability and level of overall performance and efficiency they have come to expect from their climate-control system. Climate-control equipment often comes with a hefty price tag and homeowners would do well to protect their investment. Routine furnace maintenance helps to ensure that homeowners are not forced to replace their appliances earlier than may be necessary. Quality appliances can provide years or even decades of issue-free performance, provided that routine maintenance does not become neglected. Arranging for a routine service or a routine inspection of all heating equipment can be an important step towards ensuring that all climate-control appliances, components and equipment is able to last as long as possible. Periodic service and even extensive repairs can often be arranged for only a fraction of the cost homeowners might expect to pay should they be required to replace their furnace, heater or other major appliance.